Ring, ring if you have Agnetha’s ABBA suit! $10,000 reward is being offered for an Abba jumpsuit stolen in Melbourne. The white one-piece, worn by Agnetha Faltskog during the Swedish group’s 1977 Australian tour, is believed to have been swiped from a Healesville shed last year – and sold in a garage sale. But now Abba fans want it back. While revealing plans to bring the AbbaWorld exhibition to Federation Square in June, promoter Paul Dainty said the missing jumpsuit would prove a big bonus to an already extensive collection of memorabilia. “I’m very optimistic we’ll be able to find it, because I’ve got to think that someone in Australia has got this jumpsuit,” he said. “It’s a real collector’s item because the ’77 tour was such a monumental tour. Legend has it that Agnetha, also known as Anna, gave her jumpsuit, which features a purple “A” on the back, to an Ansett hostess during the tour. Mr Dainty said he would be prepared to buy – or even borrow – the jumpsuit for the exhibition, which had its worldwide opening in London last month. “I’ve got to think that someone’s got it hidden away and is prepared to get it out for such a good reason,” he said. 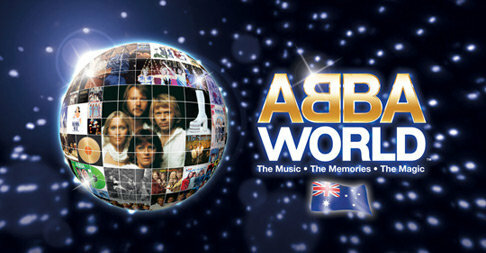 AbbaWorld is an interactive exhibition that allows fans to “appear” in Abba film clips and on their album covers. “It’s a very high-tech, theme park-type of attraction,” Mr Dainty said. Comments : Comments Off on Ring, ring if you have Agnetha’s ABBA suit! More details about this exciting new release, including the release date, will follow. Comments : Comments Off on Voulez-Vous Deluxe Edition On The Way! ABBAWORLD OPENS AT MELBOURNES FEDERATION SQUARE JUNE 2010! Dainty Consolidated Entertainment in conjunction with Touring Exhibitions is delighted to announce that they will be bringing ABBAWORLD to Melbourne in June 2010. Melbournes Federation Square will be transformed into a world of sequins, platforms, singing and dancing! ABBAWORLD is an extraordinary multimedia exhibition that will enable visitors to experience the music and magic of ABBA in a completely new and distinctive way. From Waterloo to Mamma Mia!, the ABBA phenomenon will be brought to life at ABBAWORLD with interactive highlights including Perform with ABBA – which allows fans to perform on stage with their idols, as part of a stunning 3D holographic illusion. Tretow MIX Challenge- a chance to mix things up and re-create the ABBA sound, as well as the ABBA Quiz – which tests fans knowledge of all things ABBA. There is also the opportunity to Sing-A-Long and dance with ABBA, plus a chance for fans to see themselves as part of an ABBA video! Better still, all of these interactive experiences will be recorded on visitors “smart tickets” and available to be viewed and downloaded later from www.abbaworld.com, allowing their experiences to live on and on and on, just like ABBAs music! On entry to ABBAWORLD, guests will also have their photograph taken – this will become an animated image that will follow them through their interactive experiences. It is a stunning new multimedia experience for new and old ABBA fans – great family entertainment. ABBAWORLD COMING TO MELBOURNE JUNE 2010! Comments : Comments Off on ABBAWORLD OPENS AT MELBOURNES FEDERATION SQUARE JUNE 2010! Make a date to catch “A Current Affair” on Channel 9 on Monday, 22/2/10. They will be showing a feature filmed at ABBA WORLD and will be announcing about ABBAWORLD opening in Australia (Melbourne?) later this year. A current affair is shown weeknights at 6:30 pm on channel 9 -Australia. 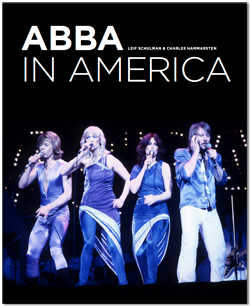 The final artwork is now done on the new book “ABBA IN AMERICA”. The original cover had to be changed as they did not realise they had used a pic of ABBA on stage in Japan during the 19080 tour! Frida and Benny Heading for New York! A mother, a daughter, three possible fathers, and a trip down the isle you’ll never forget! as well as the 10th Anniversary Australian Tour. production in London opened ten years ago. Comments : Comments Off on Frida and Benny Heading for New York!